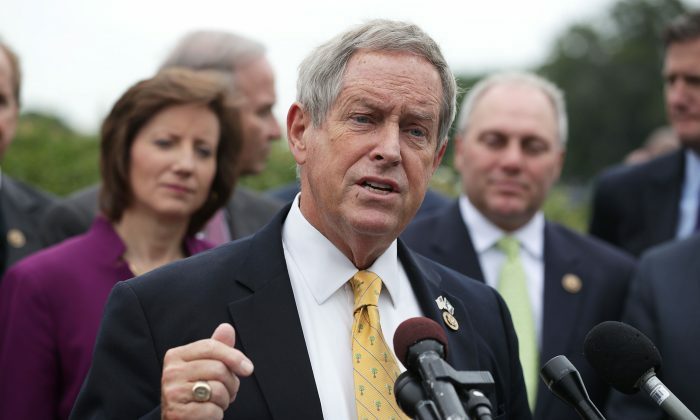 Congressman Joe Wilson (R-S.C.) wants to introduce a little transparency into the operation of Confucius Institutes in the United States. In an interview with The Epoch Times, Wilson explained why he introduced the Foreign Influence Transparency Act of 2018 on March 20, a bill that seeks to require a foreign entity in the United States that promotes the political agenda of a foreign government to be registered as a foreign agent. Under the existing Foreign Agents Registration Act (FARA), foreign entities operating in the United States who represent the interests of foreign powers must disclose the nature and basic information of their operations, so as to facilitate transparency and public knowledge of their relations with foreign countries. The current FARA law, however, allows exemptions in the cases of “religious, scholastic, academic, or scientific pursuits or of the fine arts.” The exemptions have allowed Confucius Institutes, which are funded and controlled by the Chinese communist regime, to be expanded across hundreds of American college campuses while still not being registered nor monitored in the FARA database. Confucius Institutes have come under increasing scrutiny as they face widespread criticism that they serve as a propaganda arm of the Chinese regime. Some observers have even accused them of spying for the Chinese intelligence. According to draft text of the Foreign Influence Transparency Act provided to The Epoch Times, the bill would require foreign entities promoting a foreign government’s “political agenda” in the United States to be registered under the FARA act, even if they claim to be operating in an academic or scientific setting. It would also require U.S. colleges and universities to disclose donations from foreign sources of $50,000 or more. Currently, they are only required to do so if the amount exceeds $250,000. Wilson stressed, however, that he appreciates any positive exchanges with the Chinese, and that Confucius Institutes can stay as long as they provide transparency so that Americans can better understand their intent. According to Wilson, China’s cultural and historical heritage was important to his father, who served as a member of the Flying Tigers in World War II, the group of volunteer American airmen who helped defend China against the Japanese. Various members of the U.S. Congress, including Rep. Seth Moulton (D-Mass. ), Sen. Marco Rubio (R-Fla.), and Sen. Ted Cruz (R-Texas) have made statements or sent letters asking colleges and universities in their states to cut ties or end relations with Confucius Institutes on their respective campuses. Correction: Congressman Wilson’s office has not sent a letter to Harris Pastides, the president of the University of South Carolina, regarding the university’s Confucius Institute, as was originally asserted in this article. The Epoch Times regrets the error.